What makes the Morepork Owl unique? The ‘Ruru’ Morepork is New Zealand’s most widespread owl species. A bird of the bush and the night, it is also an important species in Maori mythology. The Morepork is the only remaining native owl species found in New Zealand apart from the Barn Owl, which has only very recently colonised New Zealand from Australia. It is also the only species of owl in New Zealand that inhabits forests. Top predators are required in order for ecological systems to function, keeping check on the organisms they feed on. With short rounded wings and ears and eyes adapted for low light and darkness they are a formidable and stealthy predator of our forests. What other names does the Morepork have? Scientists call it: Ninox novaeseelandiae. Maori have many names for the Morepork including: Ruru, Koukou and Peho. Others know the Morepork as the: Boobook (mainly those folks over the ditch in Aussie). Are Morepork threatened in New Zealand? Morepork are very wide ranging and generally abundant in New Zealand. However, like all New Zealand species they suffer from a general lack of smarts when it comes to the exotic mammal predators that humans brought with them when they arrived. Where available they nest in cavities in trees but they will also nest on the ground. One could presume that when nesting on the ground they are at their most vulnerable, but in fact even when nesting in cavities they are prone to predation. Cavity nesters overseas generally favour cavities that have two entrances, so that if a predator comes in one entrance they have an escape route out the back door. Of course the eggs or chicks may be predated but at least the adults survive and get to try again at a later date. Morepork however are not quite so cunning and don’t leave themselves this essential escape route, making the eggs, chicks and the adults sitting on the nest easy targets for things like stoats. So are they threatened? Well although Morepork are not formally classified as threatened, we actually don’t know much about their populations and very little research has been undertaken on the New Zealand sub-species. Of the few populations that have been monitored, fledgling rates have been very low indeed. If this is generally the case then Morepork populations may be more threatened than we think. More research is required – but one thing is certain – the prevalence of all those mammalian predators in our bush is not helping our most endearing of raptor species. A decline in Morepork numbers would indicate a serious decline in the health of our forests and of our biodiversity. Like falcons they are the barometers of our environment. Without Morepork New Zealand would be a far poorer place. Morepork eat a variety of food but focus on large insects such as weta, huhu beetles, moths and cicadas. They will also prey upon small mammals such as mice and young rats. Morepork also catch roosting birds unawares as they sleep at night! How do Morepork fly so quietly? Like many owl species, Morepork can fly silently. They are able to do this because of a unique adaptation to their feathers. The feathers on most birds have smooth edges to maximise efficiency of flight. Owls in contrast have serrated edges to their feathers reducing turbulence and muffling the sound of air passing over the wing. 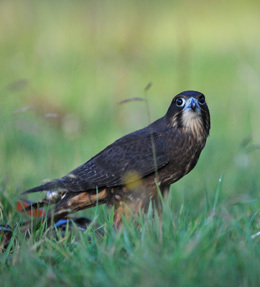 Gliding also helps reduce drag and hence noise, making these the most silent, deadly of predators. How do Morepork catch prey in complete darkness? Flying silently allows Morepork to catch prey unawares but how do they see in the pitch black of night? Well actually they can’t see when there is no light at all. Although their facial disks help direct what little light there is into their eyes they still need some light to see. It has been proven however that they can still successfully catch prey even when there is no light at all – by using their ears! It is in fact their offset ears that allow them to successfully hunt at night. These offset ears enable them to judge distance and locate prey using sound alone - a useful adaptation when it’s too dark to see! It also enables them to hear and locate prey hidden under leaf litter – very handy when a large proportion of your diet is creepy crawlies that live out of sight. Where and when do Morepork breed? Morepork lay between one and three eggs between September and February. The female does all the incubation. 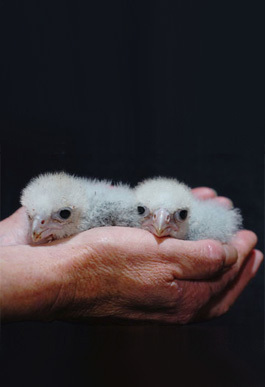 Like falcons, incubation lasts approximately 30 days with the chicks fledging at around 35 days after hatching. They generally breed in bush habitat and pine forests but can sometimes also be found breeding in urban areas, for example in vegetated gullies or parks. What does a Morepork sound like? The call of the Morepork is iconic in New Zealand, like the Kookaburra is to Australia and the Fish Eagle is to Africa – as such it has deep spiritual and cultural meaning to the New Zealand Maori. Morepork are most well known for their "More-Pork" call but they also make a repetitive “cree” sound. Want to learn more about morepork? 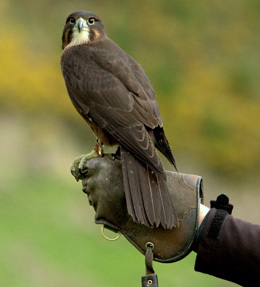 Then check out our PDF list of key references for more information and come and visit us at the Wingspan National Bird of Prey Centre in Rotorua to see these wonderful birds up close and learn all about them from our expert staff.